Review: Tibetan Saffron Collagen Bionic Eye Mask | Memorable Days : Beauty Blog - Korean Beauty, European, American Product Reviews. 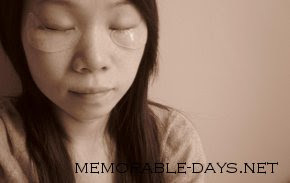 These are collagen eye masks of the brand Tibetan Saffron (西藏红花). I bought these last year while I was in Shanghai :). This is actually my last package eye mask of this brand. *note to myself: need to buy new eye masks >.<" After using this mask your eyes should look healthier, more energetic, brighter and it will feel fresher. I bought these at Watsons in Shanghai for 10 RMB. One package comes with 3 pairs of eye masks. So they are around €0.33 each. Very inexpensive as you can see xD. You need to pull the packaging open to get the eye mask out. The pads are jelly-ish and it doesn't have a scent. 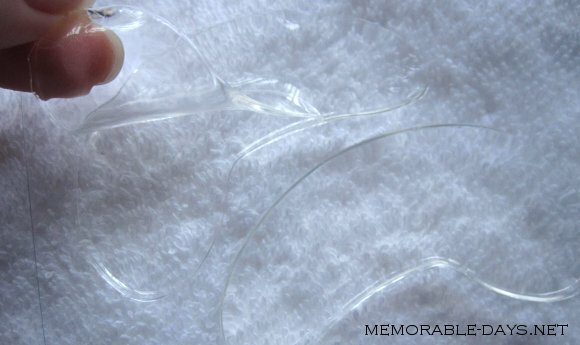 They are quite slippery because of the tonic which is on the eye masks. However the product will get absorbed by the skin after 5-10 minutes. When it's time you can remove the mask and gently massage the product on your skin. You don't have to wash your eyes after usage. It was quite annoying when I had this mask on because it was very slippery! I was sitting behind my laptop while having this mask on and I had to adjust the pads every few minutes ~_~. Therefore I had to lay down and sit still while having the mask on. I couldn't see any instant results after usage, but it did feel a bit moisturized and refreshed ^__^. 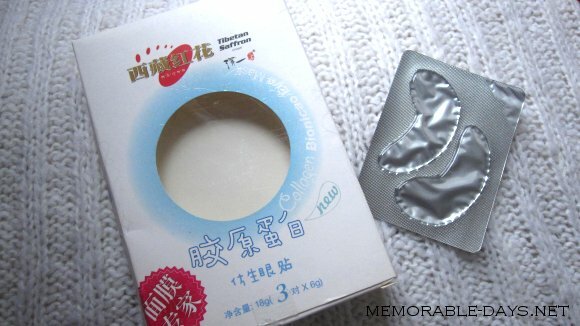 Have you tried these kind of masks before? Oooh. I want to try this type of mask! Because well, it sounds interesting and looks cool :o and my dark circles can be pretty bad ;_; !